In 2018 our design team produced a design response for the RIBA Sevenoaks Visitor Centre Competition. The vision was for a new centre for nature and conservation- to discover, learn and explore. 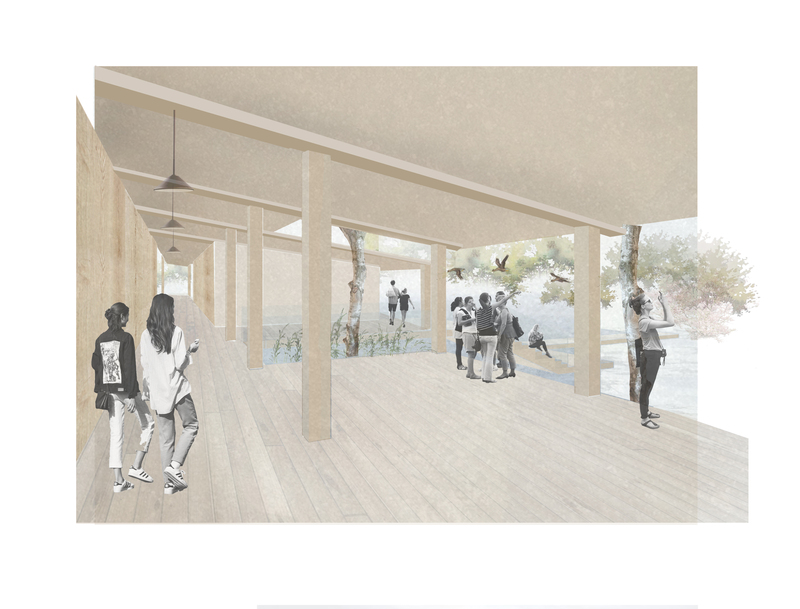 The new centre will be dedicated to facilitating the connection between biodiversity and personal health and wellbeing, and raising awareness of the importance of conservation work on our own wellbeing and that of the planet. 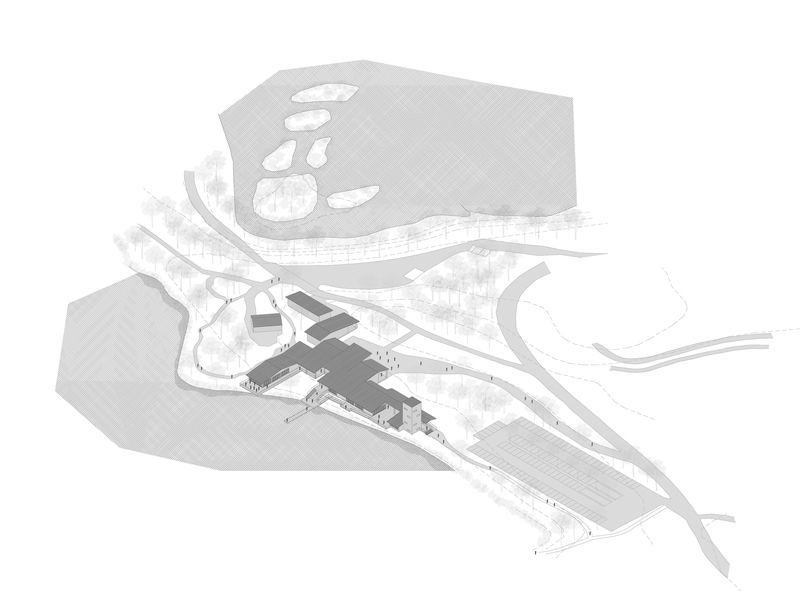 Our proposal for the new visitor centre for the Kent Wildlife Trust in Sevenoaks mediates the relationship between the built environment and the surrounding landscape on the site, and presents itself as a bold but sympathetic monolithic volume comprising of several elements, defined by their individual functions. 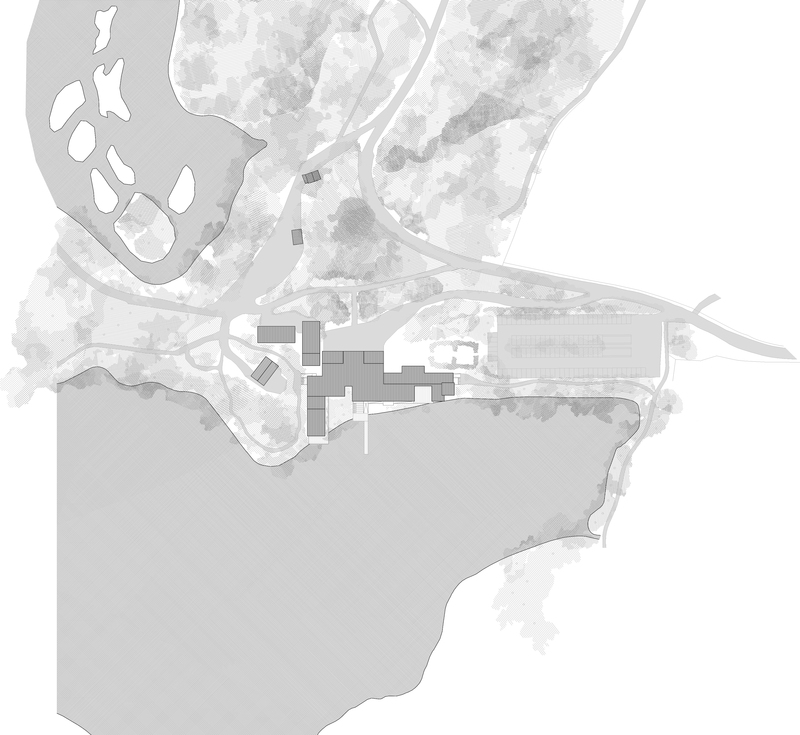 The three main functional zones within the main building are the arrival and entrance space (the approach), the cafe and a studio multi-use space, all orientated around views towards the lake. In addition, there is a staff building to the North of the site with a separate entrance and a viewing tower that provides 360 degree views of the surrounding landscape. The three main zones of the building are all linked by a timber deck which acts as a progression route through the pavilion, from which enclosed, isolated moments within the building stem. 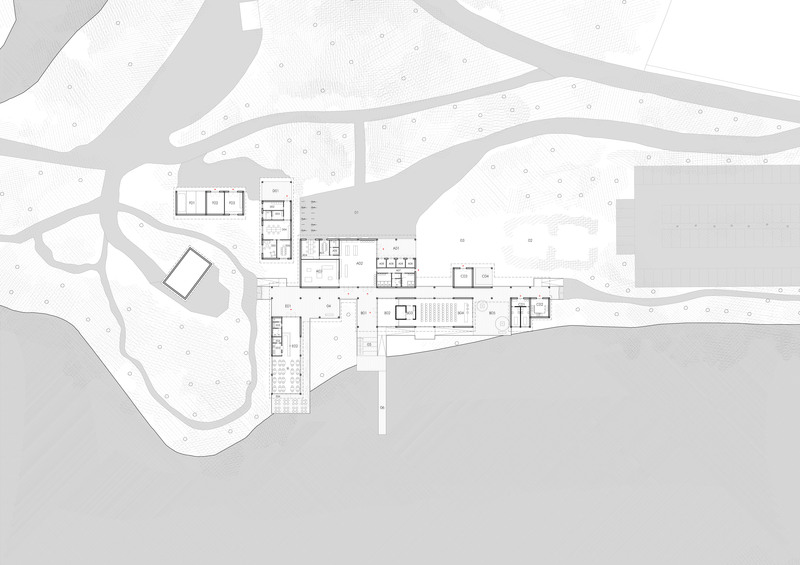 The route is designed in a way that highlights the external areas and landscape between spaces, a carefully controlled segregation and integration of the user and the natural surroundings. The asymmetric roof element, consisting of economical matt black sinusoidal panels, brings together these structures and exists in one plane, angled in a way that prevents overheating in the summer months and harnesses the heat source of the low winter sun. The roof provides shelter from excessive wind and rain, allowing for a temperate condition within the shelter of the transition space between zones.